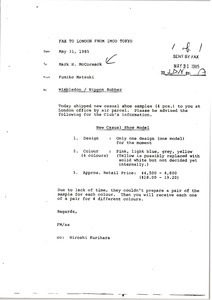 Concerning a potential arrangement with Asahi for shoes in the territory of Southeast Asia. 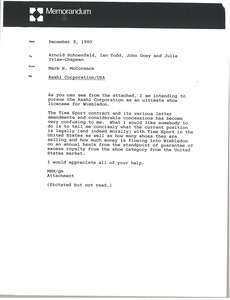 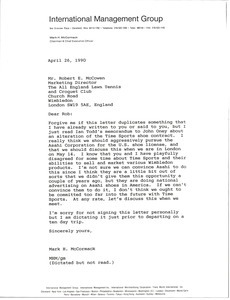 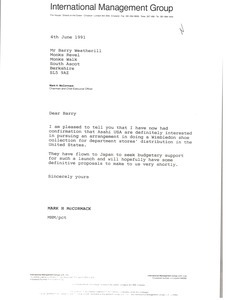 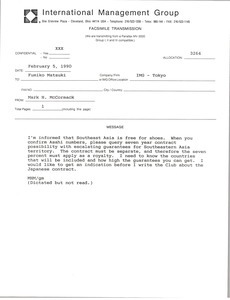 Concerning the attached memorandum regarding the Time Sports shoe contract, McCormack thinks they should "aggressively pursue the Asahi Corporation for the U.S. shoe license." 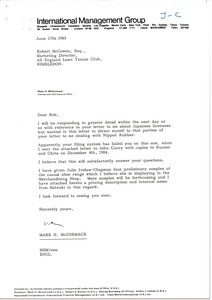 McCormack would like to pursue trying to replace Time Sports with the Asahi Corporation as the Wimbledon U.S. shoe licensee. 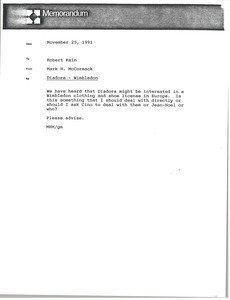 Attached is background information about this situation. 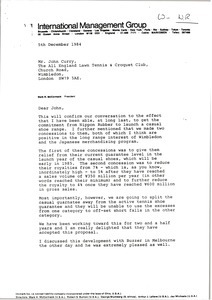 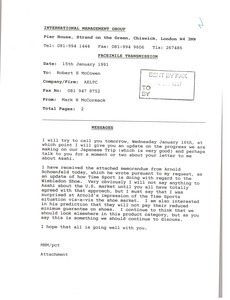 Concerning the attached memorandum from Arnold Schoenfeld regarding Time Sport and the Wimbledon Shoe. 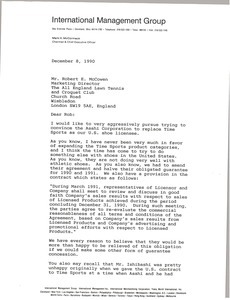 Concerning Asahi USA's interest in pursuing an agreement involving the distribution of a Wimbledon shoe collection to department stores in the United States.